Mayor and City Council - City of Wellford, S.C.
Mayor Watson is a 47 year resident of Wellford and she previously served on Wellford City Council from 1999-2015. She is a member of New Moores Baptist Church and has 2 children, 4 grandchildren and 2 great grandchildren. Mayor Watson's term will expire June 30, 2019. Ms. Santana was elected to her first term of office June 2013. Her term will expire on June 30, 2021. Mr. Wilkins was first elected to City Council in 1999 and served through 2007. He was reelected in 2013 and his current term will expire June 30, 2021. 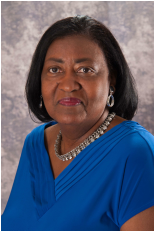 Ms. Gist was elected to her first term on City Council on June 2, 2015. Her term will expire on June 30, 2019. Ms. Holcombe was first elected to City Council in 2000 and served through 2013. She was reelected on June 2, 2015 and her term will expire on June 30, 2019.